Starting yesterday and running through June 4th, Best Buy is running a deal on the Samsung Galaxy S7 and Samsung Galaxy S7 edge. Purchase or lease either handset with a signed two-year contract, Sprint Lease or EIP via Verizon, AT&T or Sprint, and you'll be receiving a free Samsung 32-inch Class LED Smart HDTV. The set is valued at $219.99. This deal is available online or in the stores. Or, if you don't mind putting up some extra cash, you can buy or lease the Galaxy S7 or Galaxy S7 edge, activate the phone, and buy the Samsung 48-inch Class LED Smart HDTV for just $250. This deal is available in Best Buy stores only. If you're planning on picking up the Galaxy S7 or Galaxy S7 edge, and you're a Verizon, AT&T or Sprint customer, you might as purchase the device from Best Buy. Doing so will bring you either a free 32-inch Smart HDTV television, or a deeply discounted 48-inch set. Either way, you'll be rockin' a great Android handset and relaxing with a brand new HDTV set at home. You'll be the envy of your friends and family. In the fine print, Best Buy says that there are only a limited amount of televisions available, so if you are interested in either phone, do not procrastinate! Seems like S7 and S7 Edge are selling pretty well. This deal seems to be Samsung exclusive. Others like 'Buy one get one' are usually for all brands, but carriers can not advertise Apple phone, LG phones don't sell in those numbers to be mentioned and Sony is not offered by most carriers. BOGOs for iPhones are also offered by carriers as well. Sprint had one recently. 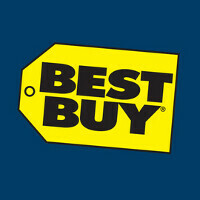 Yes, I am well aware of that, I guess these offers from best buy are also financed by carriers.